The type of closure you need depends on your application, strap size and tools used. 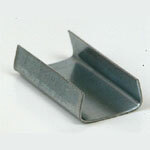 Our wide variety of closures enable you to choose the best closure for your applications. Quality Strapping stocks a full line of strapping closures and supplies including wire buckles, plastic buckles, strapping seals, strap corner protectors and much more. Quality Strapping stocks a full line of all types of steel strapping seals.We carry snap-on seals (open), thread-on seals (semi-open), push-on seals (closed or overlap) andmagazine seals for the most popular sizes of steel strapping. 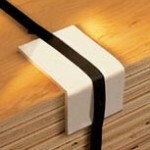 Strapping closures and accessories are available in custom quantity packaging. Private label is available with a minimum order.